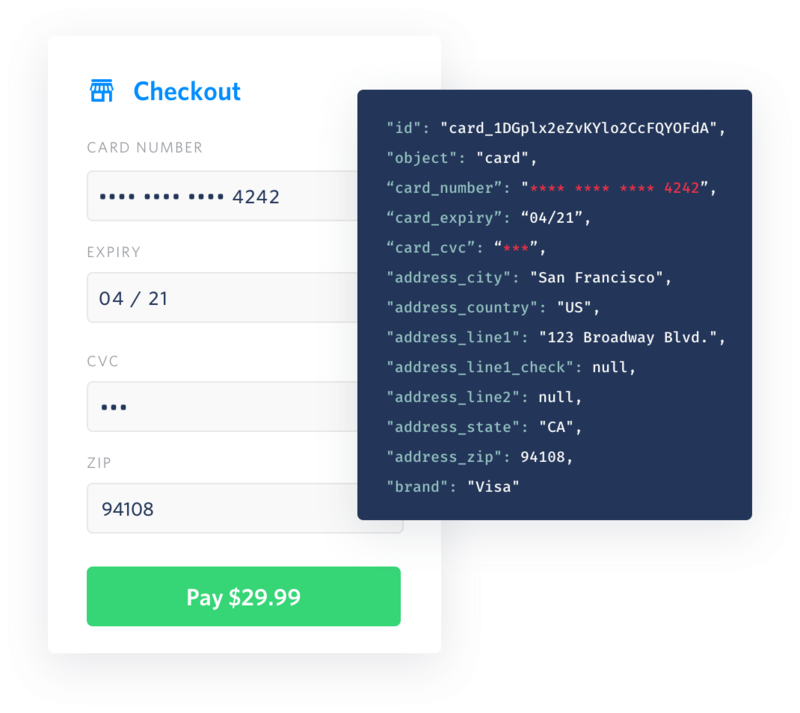 Accept payments securely over the phone using <Pay> on the PCI-compliant Twilio Voice platform. PCI compliance doesn’t have to be hard. <Pay> handles complex payment infrastructure and security standards so you can accept credit card payments over the phone easily. 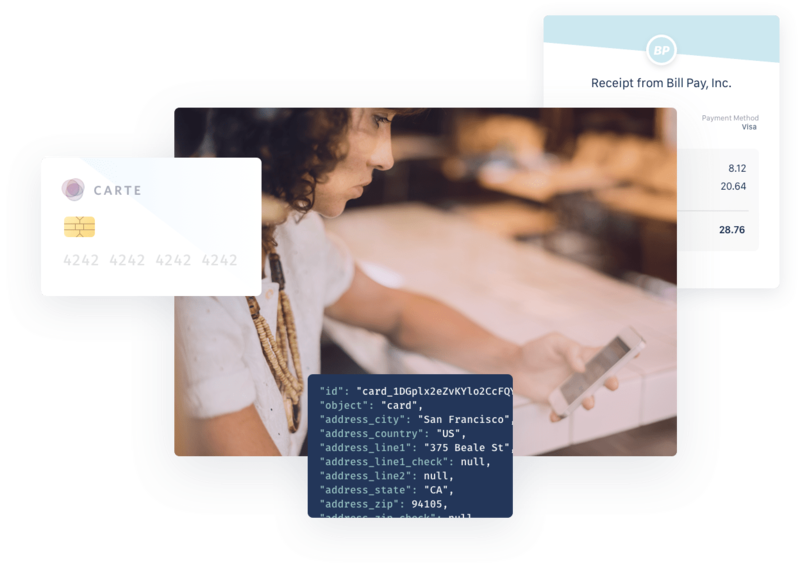 <Pay> makes capturing payment information easy and secure, passing information to payment gateways for seamless payment processing. <Pay> is adaptable to your business’ unique payment workflow. Use discreet features to build the exact payment experience you need. Integrate the payment providers you already use in just a few clicks using <Pay> Connectors’ pre-built integration widgets. <Pay> Connectors currently support Stripe, with more payment gateways on the way. Teach your IVR new tricks like accepting payments without agent intervention. 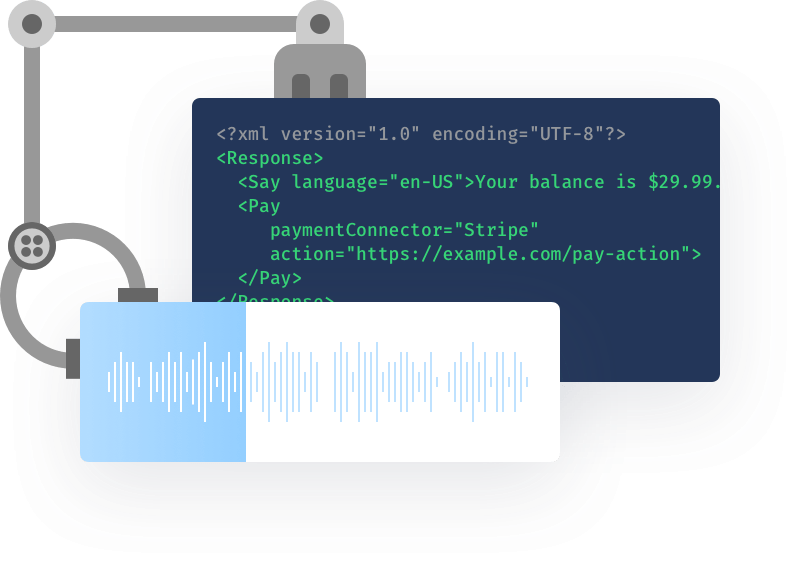 Capture customer payment information using Programmable Voice features like Amazon Polly text-to-speech or Twilio’s AI-powered Autopilot API. Contact centers need a secure and compliant way to capture payment information that protects customers. Use <Pay> to ensure DTMF tones are concealed. Agents will not see or hear tones as they are inputted, but can still guide customers through the payment process. Capture payment information without building and maintaining costly PCI-compliant infrastructure yourself. <Pay> powers secure transactions out-of-the-box. PCI compliance is closer than you think. 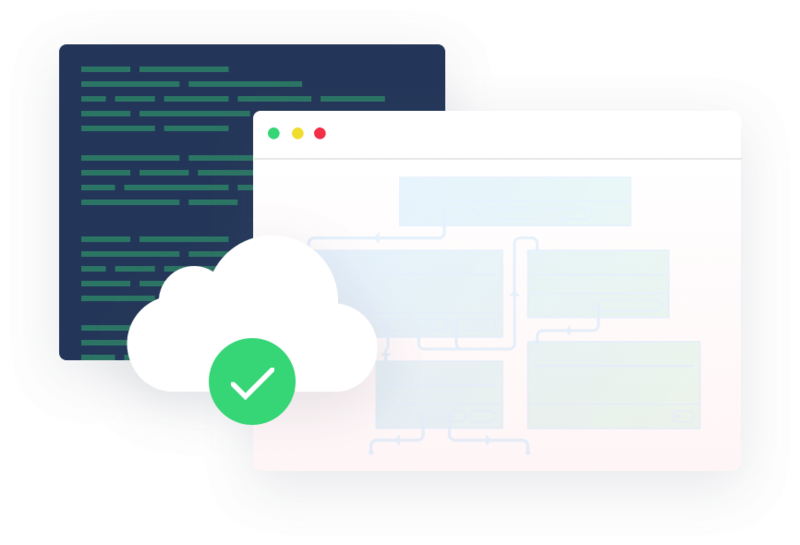 Twilio captures, secures, and transfers payment information to 3rd party payment processors in the cloud. There are no servers for you to manage, no hardware to swap and no operating systems to update.